"Early on a winter morning during Ramadan, I went to the bank of the Buriganga River near the Sadarghat Boat and Launch Terminal in Dhaka, Bangladesh," writes Your Shot member Md Rafayat Haque Khan. 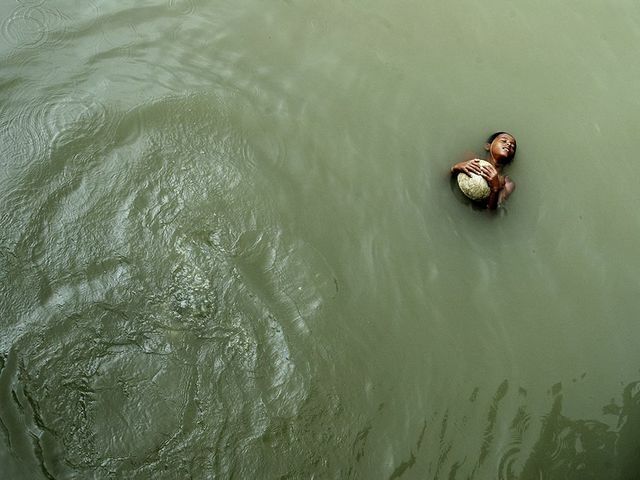 "I saw a few boys swimming and playing in the river. This scene brought me back to the simpler days of being a child and caught in small moments that seemed so magical—such a serene, peaceful [moment], the kid representing the golden moment of life."